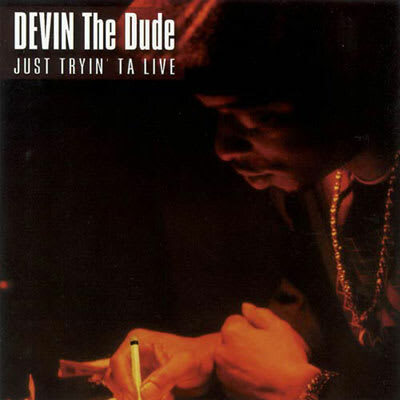 #8: Devin The Dude "Doobie Ashtray"
Only Devin could turn a simple tale of a lost roach into a full scale lament on morality, excess and fake friends. Houston ex-pat and Gang Starr representative DJ Premier steps out of his element with a perfectly somber beat. Rap-A-Lot fact: the adlib where (spoiler alert) Devin does eventually find a bag of weed was absent on early promo copies of the album, making the track feel like even more of a downer than it does in its commercial version.